The Kansas Children’s Discovery Center Nature Explore Outdoor Classroom is 4.5 acres of serious fun, inviting families to adventure, play and learn. Visitors to the Outdoor Classroom enjoy activities for all ages and abilities. Highlights include a large treehouse, music garden, stream and pond. Natural and engineered play structures encourage climbing, jumping and exploring the outdoors. Tree-lined natural and paved trails for walkers, bikes and trikes wind through open and wooded areas. With 4.5 acres nestled inside a larger city park, the area provides homes for local wildlife. Squirrels, birds, frogs ducks and other animals are regular visitors to the Outdoor Classroom. A variety of fish live in the pond. Tadpole season is a particularly exciting time for visitors, as children and adults watch pollywogs go through their life cycle from the very beginning. Visitors identify fossils in the stream, hunt for cicada shells, and search for bird nests in a quest to explore the natural world. Children practice balance on tree stumps, swing from ropes and use natural elements to engage in pretend play. Caregivers love being able to take children to a place where they can safely explore and practice their skills. 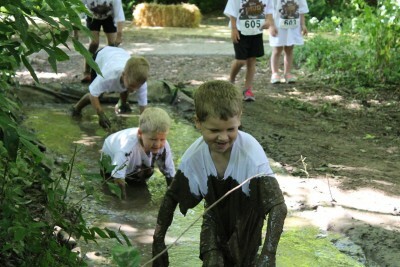 The Kansas Children’s Discovery Center has many events in the Outdoor Classroom including our annual Seriously Fun Mud Run. 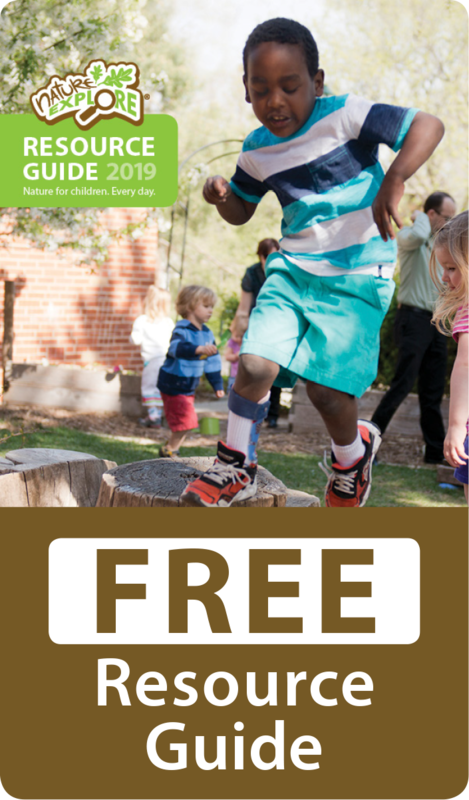 Children have the opportunity to broaden their comfort level with the outdoors as they complete a marvelously muddy half-mile obstacle course where they can crawl, roll and jump in piles of mud. Hundreds of mud-covered, smiling participants slide through the finish line every year. Full of beauty and opportunities for exploration, our The Kansas Children’s Discovery Center Nature Explore Outdoor Classroom is ready for any visitor with a sense of adventure.